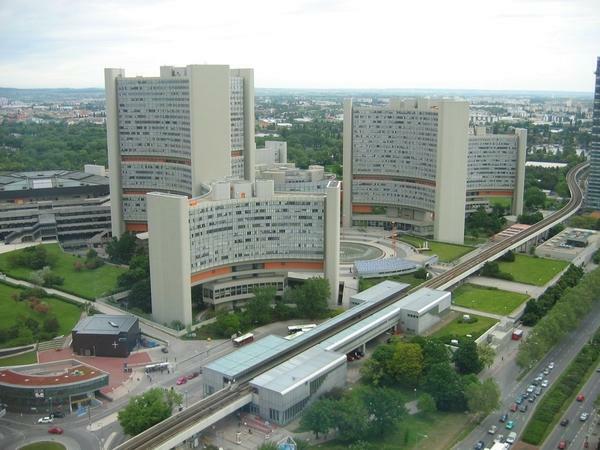 This year marks the 30th Anniversary of the Vienna International Center which, alongside with New York, Geneva and Nairobi, is one of four United Nations headquarters worldwide. The complex of buildings completed in 1979 accommodates fifteen UN sub organizations. As the headquarters of the International Atomic Energy Agency and the United Nations Office on Drugs and Crime, Vienna has become a hub for dealing with the key security challenges of our time, including combating terrorism, drug trafficking and organized crime as well as promoting nuclear safety and energy security. The anniversary celebrations on August 28, 2009 were also attended by UN Secretary-General Ban Ki-moon. Austria’s Foreign Minister Michael Spindelegger acknowledged the achievements of the Vienna-based UN organizations and entities and Austria’s commitment to the United Nations. Since becoming a member of the United Nations in 1955, Austria has sought to contribute effectively to the work of the UN, particularly to the fields of peace and security, international law, human rights and disarmament. Some 60,000 Austrians have participated in more than fifty peacekeeping operations worldwide. This consistent commitment is a visible expression of Austria’s recognition of the fundamental role of the United Nations. In October 2008 Austria was elected as a non-permanent member of the UN Security Council for the period of 2009-2010 and is honored to serve the third time as a member of the Security Council after previous chairmanships in 1973-74 and 1991-92. In November 2009, Austria assumed the chairmanship of the Security Council. One of Austria’s priorities during its chairmanship was the protection of civilians in armed conflicts.